LSTN, a Los-Angeles based audio company, is known for its eco-friendly, aesthetically pleasing portfolio of headphones, earphones, and speakers. Now, the brand is making a debut in India, thanks to an exclusive partnership between with Indian distributor Ferrari Video and its retail brand Headphone Zone. LSTN is making its debut in the country with a few selected products which include its Troubadour and Fillmore headphones, the Bolt, Bowery and Avalon earbuds as well as the Satellite wireless speakers. These wired earphones come with an in-house microphone that is designed to be sweat-resistant. The speakers have 8mm drivers, and a frequency range of 20Hz to 20kHz. The Avalon also has gold-accented hardware and a rubber cable. The LSTN Avalon costs 2,999 INR, and is available in Bamboo and Ebony color options. These earphones come with real wood housing, and they sport a 4.5ft nylon cable with an in-line microphone. They also have 8mm drivers, and a frequency range of 18Hz-20kHz. The LSTN Bowerys is priced at 2,999 INR, and they are available in three color options – Cherry Wood, Ebony and Zebra Wood. The LSTN Bolt wireless earphones are aimed at workout enthusiasts. They have a sweat-resistant metal housing, and the silicon rubber buds ensure that the earbuds stay in place while working out. The earphones feature a 6mm driver and are said to offer up to 8 hours of battery life. The LSTN Bolt costs 6,999 INR, and is available in Rose Gold and Black color options. These wireless headphones are housed in a real-wood casing. The headphones enable wireless connectivity through Bluetooth 4.1 and come with an onboard microphone as well. The LSTN Troubadour is priced at 11,999 INR and is available in Zebra Wood and Matte Black Maple color options. 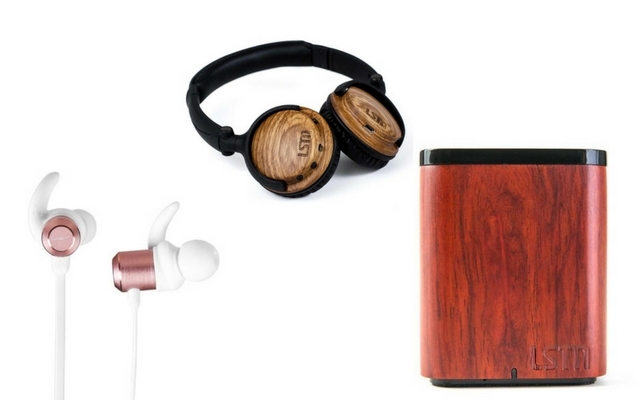 These headphones also come with real-wood casing. Unlike the Troubadour, these headphones come with a foldable headband. The LSTN Fillmore offers 40mm driver with a 3.5mm gold-plated plug and supports frequencies between 20Hz and 20kHz. 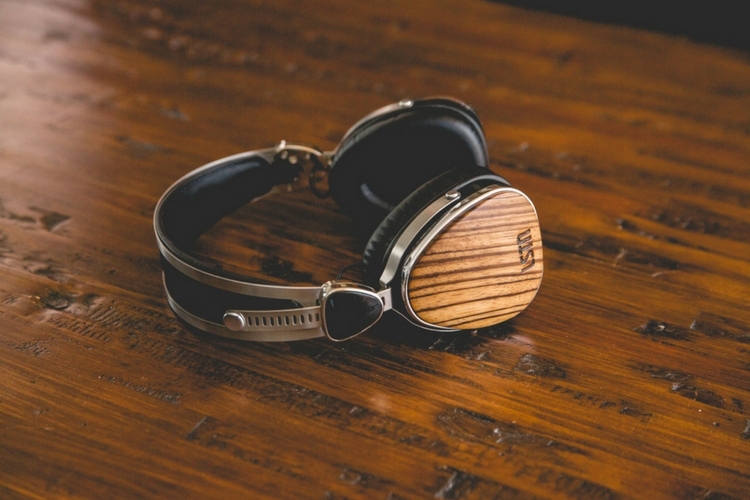 These headphones are priced at 7,999 INR, and are available in a Zebrawood color option. This is the only wireless speaker which the company has debuted in India. It measures 3 x 2.5 x 2.5 inches and comes with wireless connectivity and a built-in microphone. The 5W speaker also comes with USB charging and offers 8 hours of playtime. This speaker is priced at 6,999 INR, and is available in Zebra Wood, Cherry Wood, and Walnut Wood color options.